Taking part in nail polish or nail art challenges is something I would love to do more often, but because life happens, I don't have the time to do them all. And so, I only do them when I get the chance (and when I know I can deliver the mani -more or less- on time). On the facebook group the GLITTAH pirates, I came across this week's challenge which is called "discontinued". And I thought, I still have the time, and I have a couple of discontinued polishes, so why the hell not? It's not like the neighbors are letting me study today, so here it goes. 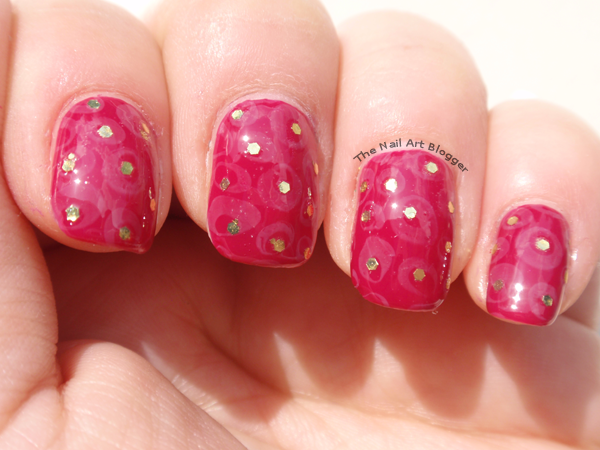 I stamped using a stamping plate from Essence. Somehow I ended up using only Essence products today. I don't know how that happened haha. 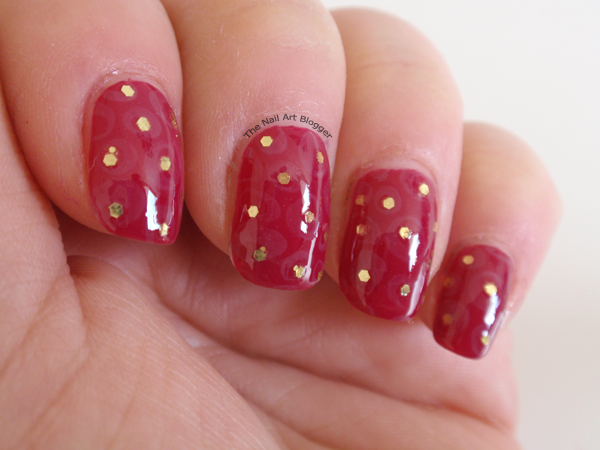 The stamping doesn't really show much on the nails unless I really focus on my nails to spot them. Which I think is okay, because the base color is a lovely shade which the camera unfortunately didn't really pick up. 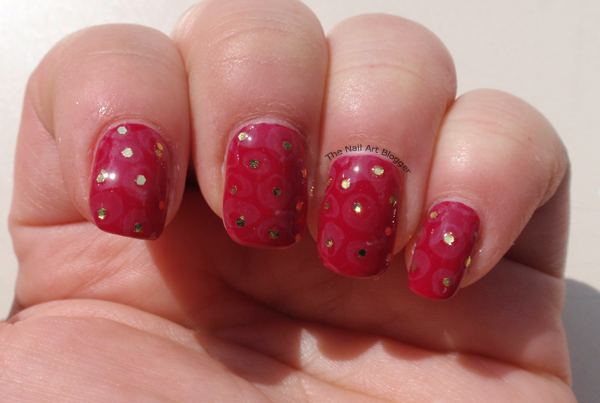 As for the glitters, I put some glitter polish on a piece of tape, and picked up the large ones using a fine dotting tool and placed them on my nails. I used an Essence top coat (better than gel nails top coat). Do you have any discontinued polishes that you love wearing?